Not your typical Audiology Clinic. Pristine Hearing is a family owned, independent audiology clinic located in Nollamara, a northern suburb of Perth. We have free and easy on-site parking available, on the 384 Bus Route and our clinic is wheel chair accessible. Since our equipment is mobile, we also offer appointments at Nursing Homes, your home or your workplace. It is our desire to be a flexible Audiology Clinic who can accommodate the busy lives of our patients. 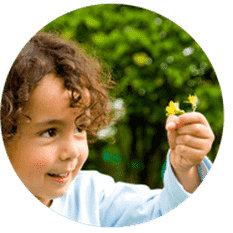 We provide hearing services to both Adults & Children. We value QUALITY over Quantity. 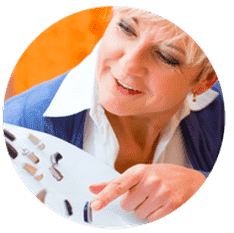 While many of our competitors will use every trick in the book to lure large volumes of clients, Pristine Hearing is more interested in building lasting patient relationships by offering the best experience and service imaginable. Being an Independent Audiology Clinic means you can feel confident that treatment recommendations are made in YOUR best interest. We do not receive sales commission or incentive and our margins are the same no matter what device you choose. Our Hearing Aids are offered at NEAR wholesale prices. Since we unbundle the cost of our devices with the cost of our expert Audiology time, you only pay for what you need. NOTHING MORE. We would much rather get paid for our clinical expertise than for a device. Some Audiology Clinics are happy to sell you hearing aids with little regard for interfering earwax. At Pristine Hearing, we offer FREE annual PROFESSIONAL EARWAX REMOVAL for all patients who acquire hearing aids from us (valued at $120). It is only with clean ears that your hearing aids will work at their optimum. Have you ever been victim to abuse and made to feel worthless when receiving medical care? At Pristine Hearing, all our staff are naturally caring individuals who always ensure that no matter who you are, you will be LISTENED to and treated with the utmost DIGNITY & RESPECT. Basically, when you become a Pristine Hearing patient, you become part of our family. 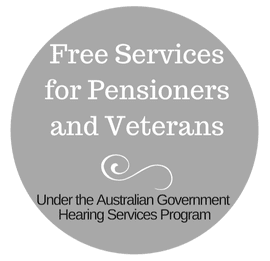 As a member of Audiology Australia, American Tinnitus Association and Independent Audiologists Australia, you can be confident that as a patient of Pristine Hearing, you will receive ETHICAL, QUALITY and EVIDENCE BASED hearing healthcare conducted with the highest degree of PROFESSIONALISM. Pristine Hearing takes it role in the community spreading the importance of good hearing and aural health seriously. Every year, our Audiologists volunteer with Earbus Foundation and travel to remote indigenous communities in Western Australia providing FREE audiological services to the children there. These trips are really invaluable for all who attend. Our team is made up of individuals who are naturally helpful & caring human beings. Michael is a very thorough and experienced Audiologist who takes pride in ensuring his patients are listened to, valued, respected and achieve the best results possible. He is patient, considerate and is a very well rounded Audiologist who specialises in many aspects of Audiology. He has worked as a Senior Audiologist for many years across Tasmania and Western Australia seeing a broad case load from young infants right up to complex adults who required more specialised audiological care and management. He is appreciated by all his patients for his care and attention and commitment to going above and beyond what they have experienced elsewhere to uplift the Audiology Profession and status of Audiology in general. Before finishing his Master of Audiology, Michael worked at Cochlear Ltd in collaboration with the Hearing CRC as a Clinical Research Assistant where he gained valuable experience working with cochlear implants recipients. Michael’s final year Master of Clinical Audiology research project was also conducted in collaboration with Cochlear Ltd. It looked at the efficacy of various Nucleus 5 Cochlear Implant Processor noise reduction algorithms in different levels of reverberation to assess real-life benefit in more realistic environments. The results of this project provided valuable insights into the realistic expectations of cochlear implant recipients in everyday listening environments and has been used by Cochlear Ltd researchers. Apart from Audiology, Michael has a Bachelor in Electrical Engineering and Applied Mathematics from The University of Melbourne. With this unique set of skills, he is in a better position to highlight the pros and cons of many new hearing aid features and technologies with greater understanding than most other Audiologists. 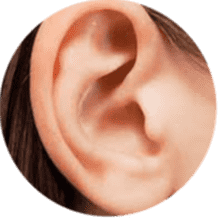 He also is experienced with safe & gentle microsuction earwax removal to ensure his patients’ ears are clear for more accurate hearing test results and better outcomes with their hearing aids. When you see Michael for a consultation, you will wonder why you never saw him earlier. Zara is very modest individual who lives to help others. She has a degree in Drama and Dance as well as a Master of Social Work. She has great experience connecting with people from all ages and backgrounds and has tonnes of empathy. She has worked in child-care, retail and more recently has been an amazing mother of 3 young children under the age of 5. Zara has volunteered for not for profit associations including those that helped organise events and social opportunities for people to meet including those with disabilities. She was also involved in organising and participating in trips to help remote indigenous communities at Bogga-Billa, Toomoola and Wallaga Lake. Zara will always treat you with respect and listen carefully to your requests which she will never make you feel bad for. Pristine Hearing is always looking at ways to make hearing healthcare more affordable. In this regard, we have joined with ZIPMONEY to enable patients the opportunity to have an interest free payment option. Instead of you having to pay upfront for an appointment or device, ZIPMONEY pays us the full amount and you just pay them off over a 6 month interest free period. If this is something you would like to use, please let us know on the day of your appointment or device payment as it can be setup very easily and quickly. Hearing a problem? ​Not sure what to do? ​You've come to the right place where all your questions can be answered. 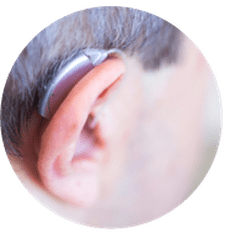 ​Whether you're looking for a hearing assessment, tinnitus assessment, a hearing aid, hearing advice, earwax removal or just someone to talk to, we're here to help. The modern day patient has access to a plethora of online information from which to understand their condition. Of course with this increase access, finding accurate and authoritative information can be somewhat challenging. 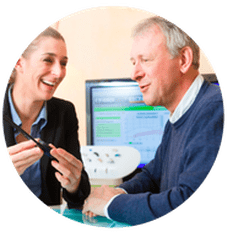 ​By getting in touch with Pristine Hearing, you are able to speak with a University Trained Audiologist up to date with the current treatment options and industry knowledge. Your health is just too important to leave to Google. Whether you would like a free information session, thorough hearing assessment or just help over the phone, we're always here to help. If at anytime you would like to reach out to us, call us on (08) 6336 7170 or send an email .